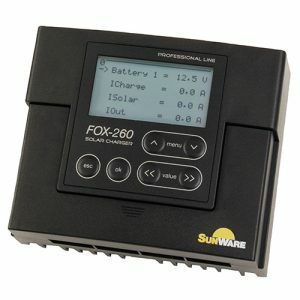 Sunware Fox Mounting Solar Charge Controllers offer perfect charging efficiency and battery care. They extend the life time of the batteries, as they protect against over charging and gas development. 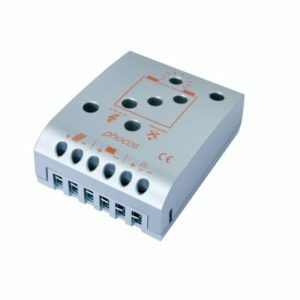 FOX-220 and FOX-320 are programmable charge controllers, which can be optionally extended at any time with the remote display FOX-MD1. 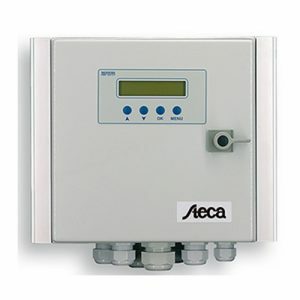 In combination with the remote display FOX-MD1, various parameters of the controller can be programmed e.g. the charge ratio B1 to B2 can be set individually. FOX-260 and FOX-360 have an integrated LCD display. The display has a backlight. The characters are kept extra large, so that it can be read from a distance. If you need to charge two batteries at the same time, use the FOX-260 or FOX-360. 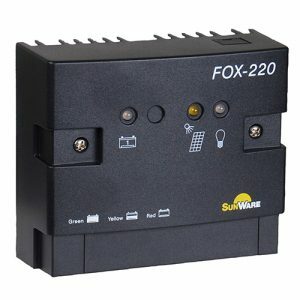 View basket “Solar Charge Controller Sunware FOX-220” has been added to your basket.